In high school, I desperately wanted to win a “most likely to” award. They were student nominated and voted, which meant they were a really big deal. The awards were varied from highly intellectual (student most likely to win a Nobel Peace Prize) to highly subjective (student most likely to live in the wilderness alone). It didn’t matter the category. I wanted my name on that list! Since I was an athlete, I figured I might have a shot for the Olympic contender. Never mind the fact that I couldn’t even touch my toes. I also made pretty good grades, so perhaps the astronaut or engineer might be a good fit, though I loathed science. I was super friendly, too, so social butterfly and southern belle were both up my alley. Jefferson City, Mo., is considered the Deep South, right? It seemed like my award options were endless. I could morph into anything. When the list finally came out, I am so excited to tell you, my name was on it … in bold. But it wasn’t under all the categories I had dreamed about. I was voted the girl most likely to make you laugh. My fellow classmates had voted me the funniest girl. While I did laugh a lot (sometimes so hard I peed my pants at school) and also made other people laugh a bunch (sometimes to the point of tears), I was disappointed. My name was on the list, yes, but I longed for something more sophisticated. Or fancy. Or super worldly. Making people laugh seemed like something anyone could do. What’s the brilliance in that? 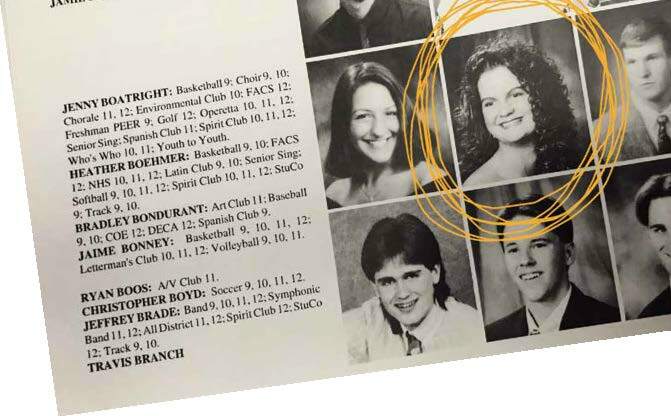 While high school was a long time ago and the wounds have healed, a few months ago my son (now in high school) asked if I had ever been voted for anything in high school such as homecoming queen. When I told him about my award, he snickered and asked if it was for being funny or for being funny looking. Very funny, kid. We then started making jokes and laughed the rest of the way to school. I’ve been thinking a lot about how God gives us certain unique gifts. But instead of really owning them, and then sending that beautiful light back into the world, we look around and covet other people’s gifts. We spend energy wishing our gifts were different or, in my case, a little more sophisticated instead of really understanding how wonderfully we are made. Turns out, I really do like to make people laugh. I also have this big, crazy laugh where my mouth hangs partially open and my one eye closes like a pirate. Almost everyone in our church youth group where I volunteer can do a spot-on impression. It’s the best! I sometimes still pee my pants when I laugh, but I wonder if that’s more about age than laughter. I also see now that my fellow high school students really did see me, long before I really knew myself, and they recognized my special gift was laughter. Then they put my name in bold to honor that special gift. It’s a gift that heals. It’s a gift you can give freely. It’s a gift of comfort that often brings people together. Last month, the editor asked if I might write a regular column in this stellar publication with some of my own brand of humor thrown in. I laughed. I also felt like I had won the biggest award out there (way better than an Olympic medal or a Nobel Prize) — it’s the one where you get to use your gifts to share God’s love with others. It really is the best gift ever. 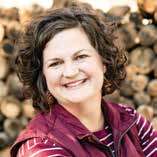 Heather Feeler is new to writing for Word&Way. She spends most of her time embarrassing her kids with her words and dance moves. Who gave the best gifts to Christ?